This year, the UK’s Department for Environment, Food and Rural Affairs (Defra) has been called on to enact on legislation that requires manufacturers to list all ingredients, including processing aids. The Real Bread Campaign are also urging Defra to ban price promotions on loaves, while calling for a legal definition of terminology such as ‘fresh’, ‘artisan’ and ‘sourdough’. The government are being asked to update these terms under legislation called the ‘Honest Crust Act’. What are the current issues in the labelling process? 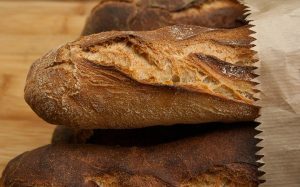 Labelling breads with the word ‘sourdough’ can cause problems for people with difficulty eating other types of bread, and causes unfair competition amongst bakers for sale of the genuine sourdough products. What does the Honest Crust Act legislation hope to achieve? This act will be intended to create a more level playing field for small, independent bakers of additive-free breads. When will we know if the legislation is put in place? Defra will be able to supply a comment about this sometime after June 8th this year (2017) due to the forthcoming general election. What should manufacturers do until then? Until this act is legislated, its measures should be adopted voluntarily. What are the legislated measures? The requirement for all bakers and retailers to display full lists of all ingredients and any artificial additives used. The legal definition of ‘fresh’ as made from scratch without freezing or part-baking the dough and ‘bakery’ as the place where this happens from start to finish. Legal definitions of ‘artisan’ and ‘craft’ being used only in relation to baking. Legal definition of ‘sourdough’ as bread leavened only using a culture of naturally occurring yeast and bacteria and a bulk fermentation of at least four hours. The word ‘wholegrain’ can only be used in the naming and marketing of loaves if at least 51% of the dry ingredients are unrefined grains, flour or meal. A ban on price promotions to sell loaves at below the cost of production. These are the changes that have been put forward to the UK government, we will know more after June 8th. Until then, voluntary changes may occur.